The Bob Smith BMW finance center works with many area lending sources to offer customized car loans and leases. This means we are able to provide you with a car loan in Calabasas that fits your lifestyle. If you’re thinking about getting a new BMW, or a used luxury car, come down to our BMW dealership near Chatsworth, CA. We’ll get you the BMW vehicle you want and smoothly guide you through the auto financing process. If you would like to start the process of getting a car loan in Calabasas right away, you can find your estimated monthly loan payments by using our online payment estimator; and you can apply for financing with our secure online finance application. 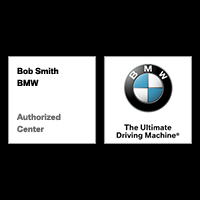 If you have questions or would like to schedule an appointment with our friendly staff, call us today or contact Bob Smith BMW online. We’d be more than happy to assist. Ownership When you finance your new BMW, your name goes on the title and when the loan period ends, you become the owner. You can sell your BMW or trade it in at any time. You can even trade it for a leased BMW, using the value of the vehicle to reduce your monthly payments. High resale value You will usually find the resale value is still quite high at the end of your finance period, which makes it especially valuable as a trade-in on a new BMW. Leasing can be the most financially advantageous way of driving a BMW. Perhaps that’s why more than half of BMW drivers lease. BMW is committed to providing the most competitive leasing programs, so you can drive a larger, more powerful, better-equipped BMW. Leasing does not require the same cash commitment; you only pay for the value of the vehicle you use during its lease. And, at the end of lease term, you have the flexibility to turn in your BMW for another, re-lease for additional term, buy at set agreement price, or turn in and walk away.